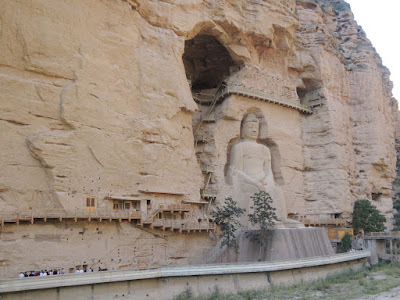 The highlight of our Silk Road trip would be visiting the Mogao Grottoes in Dunhuang, but before we got there we had a mini preview at the Binglingsi Grottoes. 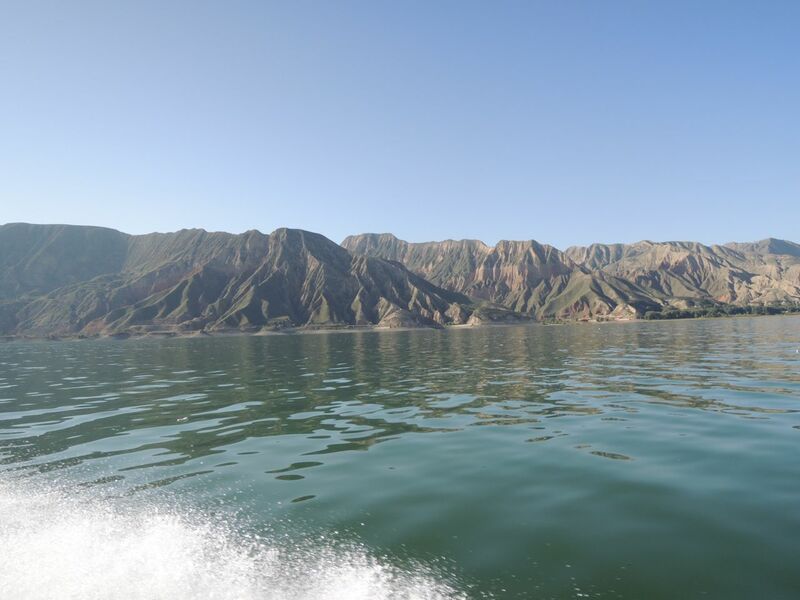 To get there was quite the ordeal which is only accessible in the summer and fall. We drove several hours to get to Xiahe, and then we reached the Liujiaxia Reservoir where we donned orange life jackets and squeezed into tiny covered speed boats that alternatively went fast and slow through the reservoir for about half an hour to to reach the grottoes. But even after we arrived we had to walk a good 15-20 minutes down a winding path just to get to the grottoes. Apparently these ones were a work in progress for over a millennium. 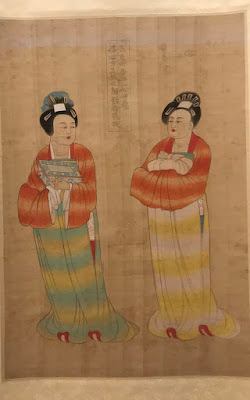 The first one was started in 420AD, and work continued all the way up until the Qing Dynasty. But over the centuries, earthquakes, erosion and looters have damaged or destroyed many of the 183 caves that feature 694 stone statues and 82 clay ones. Only a few of the "doors" were opened for visitors to peer into them. 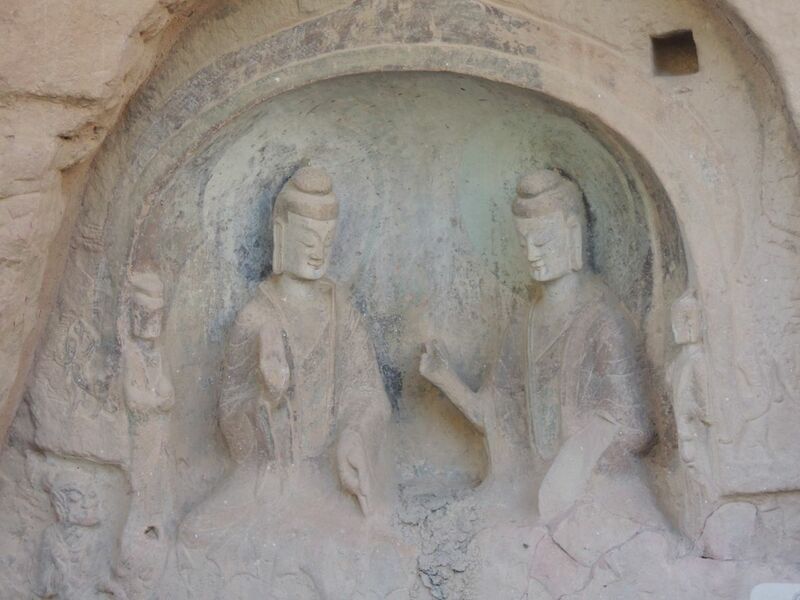 One of them had a pair of disciples dating back from the Northern Wei Dynasty with their long faces, highly-arched eyebrows, slanted eyes, and flowing robes. 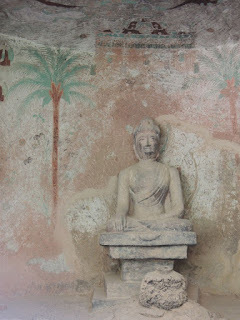 Other Buddhist statues looked like Indians from their dark skin, but it's actually skin colour on the pink side that has changed colour thanks to oxidation. 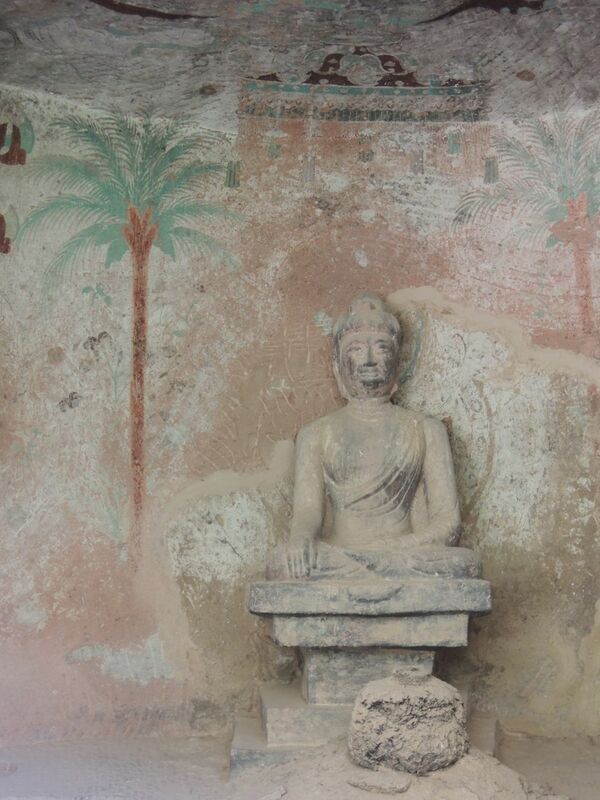 We liked how one cave featured a Buddhist statue flanked by two palm trees painted on the cave. Check out the palm trees behind Buddha! 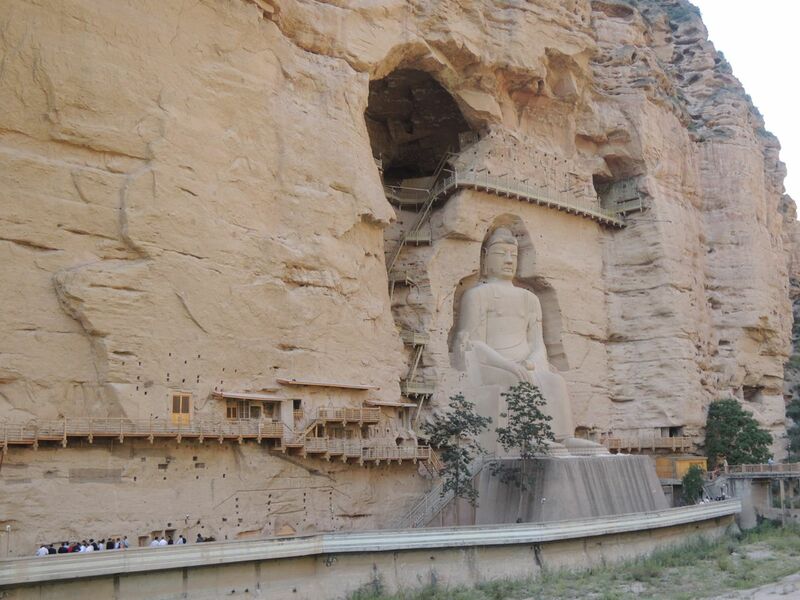 Anchoring the area is a giant Maitreya Buddha that sits more than 27 metres high. What a sight!